Manage your company’s accounts without leaving the office desk. Administer the Agreement of Electronic Services in Ibank. If the head of the company wants to authorise other company’s employees or other persons to amend the Agreement or change the client’s limits, or quantitative representation has been set forth in the register of legal persons, the head or his authorised representative of the company must come to Swedbank branch and make the necessary amendments in the Agreement on Electronic Services. Important. The head of the company or another user who has the user rights administration right may only confirm his actions by using a personally issued qualified electronic signature (mobile signature, personal identity card or USB provided by State Enterprise Centre of Registers) and Smart-ID**. Amendments become effective immediately upon signature. Further information on the electronic signature is available on page ID tools and security. * Companies managed by heads who act on the basis of quantitative rather than sole representation or which do not comply with other requirements set by the bank cannot use the opportunity to amend the terms and conditions of the Agreement in the Corporate Ibank. ** If Smart-ID account has been created using any other ID tool than Mobile-ID or ID card the user may only confirm the operations if the represented client's monthly operations limit does not exceed 20.000 EUR. read information about the Agreement in the Internet bank. Important. The company may have more than one user having a certain user rights administration right. 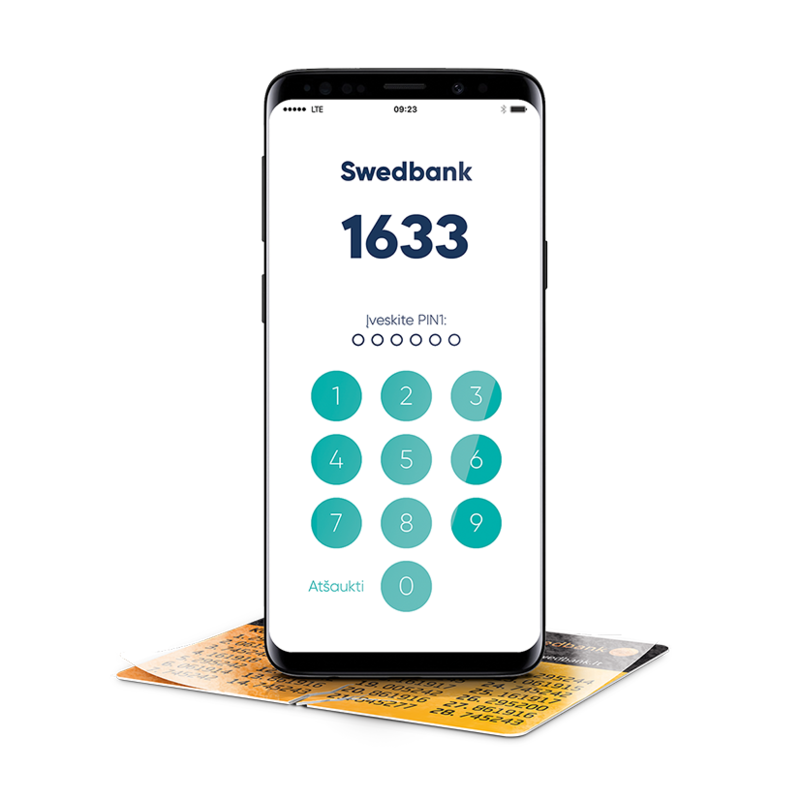 It can only be changed at Swedbank branch by signing the Amendment of the Agreement of Electronic Services. In order to facilitate the user rights administration functionality, we invite you to familiarize with the following terms and definitions. Client The account holder specified in the Agreement, by this Agreement granting the right to the User to perform the Operations via the E-channels or to carry out other actions specified in the Agreement. User A natural person specified in the Agreement authorized by the Client or a person entitled by the Client to perform the Operations via the E-Channels. The User and the Client may be the same natural person. The User may be a person who has no Account with the Bank. All accounts Information given under “All Accounts” functionality explains the restrictions and profiles for each new account opened following the conclusion of the Agreement of Electronic Services for that account. Client’s limit Client’s daily and monthly limits specify the total amount of funds to be transferred by all users from all the accounts of the client via all E-Channels over the respective period. Client’s limits must be fixed, if the user rights administration right functionality is chosen. Account limit Daily and monthly limits of the accounts are specified for each user individually and prescribe the amount of funds to be transferred by a particular user from the specified account via the specified E-channel over the respective period. Overchecking by phone Payments made by a user via the E-Channels, which exceeds or equal the limit set, will not be performed automatically and will be subject to an additional control by calling the contact phone specified by the client and requesting an additional oral confirmation. Consolidated payment content visible A user can see consolidated payment in individual amounts. If a client requests to restrict the use of consolidated payments or a user, the option “Consolidated payment content visible” shall be deselected for each account (assigned to a user). In such case a user will see consolidated payments on the Corporate Internet bank only as a single row with total amount. Double acceptance Having specified that one user requires double acceptance as of the indicated amount, the transaction entered and signed by one user (if the transaction amount equals or exceeds the indicated amount) will only be forwarded to the bank for a performance, when it is signed by any other user.